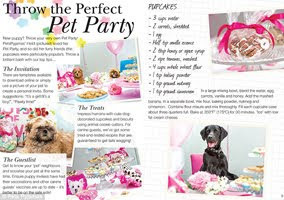 "Includes fashion style guides, pet-friendly winter holidays, recipes for canine canapes and pupcakes"
Enterprising pet lifestyle website takes on Miss Middleton with the definitive party guide... Mail Online ~ Pets Pyjamas lifestyle magazine with party planning tips for dogs - could it rival Pippa Middleton's Celebrate? From edible dirt to miso foam, the influence of science in high-end cuisine has transformed the way we think about food... BBC Food ~ Home cooking: Is science the missing ingredient? 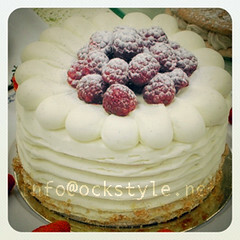 Hiding a portion of healthy vegetables inside a sweet treat is a trick that mothers have been using for years... Mail Online ~ Foodie fad: Fancy a vegetable pudding?